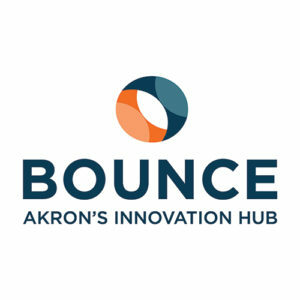 Bounce is ground zero for Akron’s innovation economy. As the first open innovation hub in the city, it currently features startup offices, event areas, and a robust program of workshops and mentoring sessions, with a makerspace and co-working space coming soon. Bounce caters to entrepreneurs, corporate executives, investors, students, and members of the community who want to build businesses and solve problems. With 250,000 square feet of space in Downtown Akron, Bounce is based in a historic BF Goodrich factory. But the special sauce isn’t the space—it’s what happens within it to launch startups, help new ventures scale and energize local corporations. As Chief Operating Officer, Jessica manages the day to day operations and lease management at the Bounce Hub. In conjunction with Program Director Courtney Gras, Jessica works to onboard new clients and introduce them to the programs and resources provided within the Bounce Hub and through its partner organizations. Jessica’s academic and professional career has focused on technology and business development, technology commercialization, intellectual property, and investment. For the past several years, Jessica has worked within the Northeast Ohio entrepreneurial ecosystem in both program management and client services. 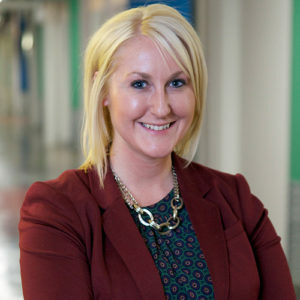 Prior to working at Bounce, Jessica managed the daily operations of the Akron Global Business Accelerator and prior to that worked at the University of Akron Research Foundation and Technology Transfer Office, where she focused on the commercialization of the university’s patent portfolio. She served as Managing Partner of the Northeast Ohio Student Venture Fund and as President of the Intellectual Property and Technology Law Association at the University of Akron School of Law. She earned her JD with a Certificate in Intellectual Property and her LL.M. in Intellectual Property from the University of Akron School of Law.